Carolyn Hurley Keene, 62 years of age of Phelps, KY, formerly of Hurley, VA, passed away Tuesday, March 5, 2019 at the University Of Kentucky in Lexington, KY. Born December 3, 1956 in Oceania, WV, she was the daughter of the late Ernestine and Truler Bee Justus Hurley. Carolyn enjoyed ginsenging, spending time with her family and was of the Christian faith. A loving mother, grandmother, sister and aunt. In addition to her parents, she was preceded in death by the man who raised her: Nathan McGraw. 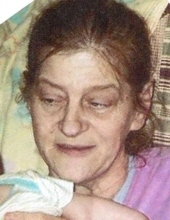 Survivors include her daughters Rebecca Duty of Phelps, KY, Sarah Robinett and husband Dwayne of Phelps, KY; sisters Wilma Matney, Arlene Matney and Maxine Looney all of Hurley, VA; brothers Alford Hurley of Hurley, VA, Jason McGraw of Norton, VA; seven grandchildren, several nieces and nephews. A memorial service for Carolyn Hurley Keene will be held at a later date. The family of Carolyn Hurley Keene have entrusted the care of their loved one to Shortridge-Ramey Funeral Home of Grundy, VA.
"Email Address" would like to share the life celebration of Carolyn Hurley Keene. Click on the "link" to go to share a favorite memory or leave a condolence message for the family.